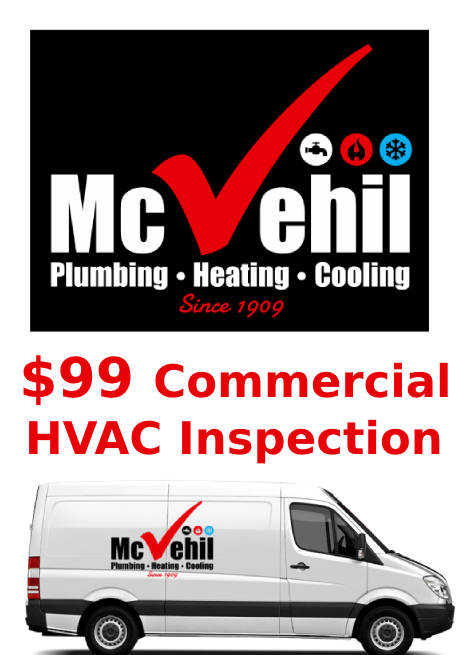 McVehil has been offering commercial HVAC services to Washington, PA clients for over 100 years now. Through many years, we have learned to meet our customer expectations. We have mastered the workings of every brand of commercial HVAC and understand what it takes for them to work correctly. Here is a tip that will save your bacon; always seek professional assistance with your faulty commercial HVAC. Repair and maintenance of commercial heating and cooling systems is a complex process that needs an expert hand. Commercial buildings have a unique design that may need extra cooling or heating to keep the temperatures bearable. Our goal at McVehil is to ensure that your tenants conduct their business in a comfortable environment. Through the many years, we have assembled a team of technicians that can handle all types of commercial HVAC problems. We aim to keep your business running smoothly without the overwhelming costs of heating and cooling. As you well know, a properly working HVAC is sufficient for energy use. Trusted studies show that every year that your HVAC goes without being serviced, it loses up to 5 % of its energy efficiency. That is something you want to avoid if you’re going to keep your tenants happy. Then again, if your commercial HVAC system stays without maintenance, chances are high you will spend more money on replacement of parts. McVehil will design a plan that ensures your HVAC system works at optimal efficiency so you can save money on all fronts. Property managers and business owners in Washington PA have for many years trusted our commercial HVAC services. 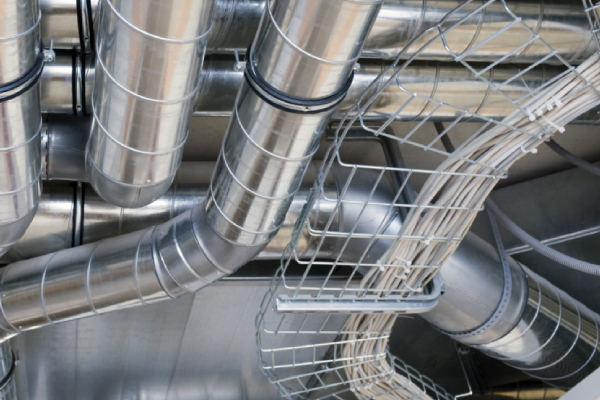 As leaders in the installation and maintenance of heating, cooling and ventilation systems, we are qualified to handle any commercial HVAC problems. At McVehil, we give each of our clients a personalized approach. We take time to listen to what our clients need and inspect the problem. We then come up with the best course of action to solve the problem. We will help you understand the short term and extended term benefits of regular inspection and maintenance of your commercial HVAC system. It would serve you best to invest in our HVAC preventive maintenance program. Without regular maintenance, minor HVCA problems can result in significant replacement costs, and you will likely suffer a system failure. Our service technicians will identify and fix the small issues before total damage occurs. Are you ready to work with a reliable partner for all your commercial HVAC needs? McVehil is here to help. We will help you maximize efficiency with your heating, cooling, and ventilation. You will be able to minimize your energy expenses and keep your tenants happy. Emergency Repairs, Commercial Roof Top Unit Repairs & Installations (up to 20 tons), Commercial Furnace Repairs & Installation, Commercial Air Conditioning System Repairs & Installations (up to 20 tons), & Routine Maintenance Programs.